There are three reservoirs: Granite, Crystal and North Crow. Granite offers excellent rainbow trout and kokanee salmon fishing. Crystal, the smallest of the reservoirs, has shoreline fishing for brown trout, rainbow trout and kokanee salmon. North Crow Reservoir is located 5 miles west of the Visitor Center. This reservoir is the only one in the area in which one can catch a splake, rainbow trout, brown trout, and grayling — all in the same day. This is an unimproved day use only area. There are no picnic tables, water supply or comfort stations. 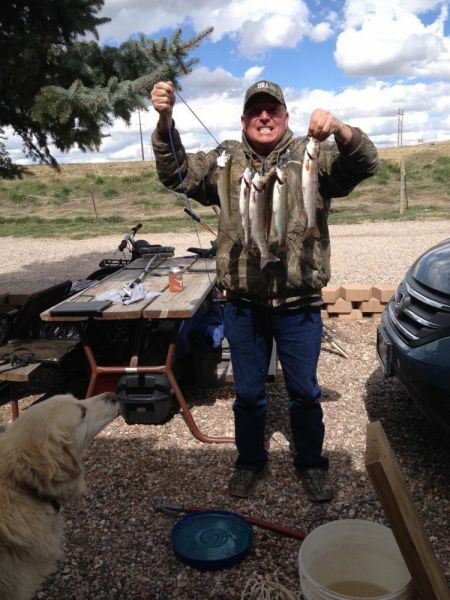 Stream fishing opportunities in the park include a walk-in area between Granite and Crystal reservoirs, as well as stream fishing in the inlet to Granite Reservoir and the Upper North Crow Reservoir outlet. 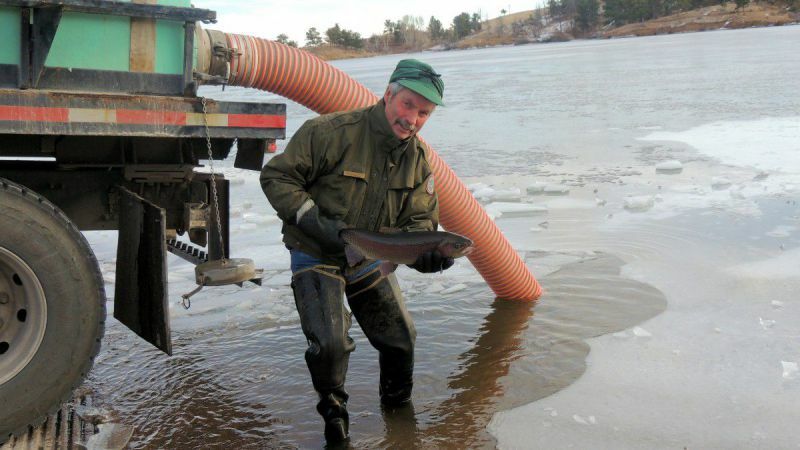 All year-round - Ice fishing is an extremely popular winter sport on all of the reservoirs. Granite and Crystal are often the first to ice up and have nice sized perch if the trout aren’t biting. Upper North Crow has rainbow and brown trout, splake and grayling. There is typically an ice fishing derby in Feb.
Day Use fee and a valid Wyoming Fishing License are required, please purchase license prior to arrival.